GLAUCOMA IS A LEADING CAUSE OF BLINDNESS IN THE UNITED STATES. It is estimated that 50% of people with glaucoma go undiagnosed. But loss of vision from glaucoma can be prevented if you get treatment early enough. Glaucoma is a disease that causes gradual damage to the optic nerve. This nerve acts like an electric cable containing a huge number of wires. Dr. Romanoff has established awareness in the diagnosis and treatment of glaucoma. Our glaucoma service provides complete diagnostic and therapeutic care for our patients, which includes the latest testing facility, medical and laser surgical therapies. A new in office advanced scanner identifies glaucoma in many patients up to 5 years earlier than traditional testing. Contact your eye doctor in Ohio to schedule your glaucoma eye exam. 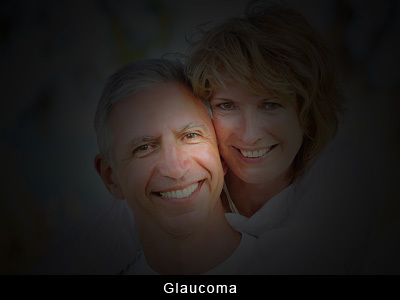 Glaucoma is one of the leading causes of blindness in the United States. Second only to cataracts, it is one of the most common eye diseases in older people. Even though it is a disease associated with aging, it can occur at any age. It is estimated that approximately 50% of people who have glaucoma do not know that they have the disease. The reason being is that in virtually all cases of glaucoma it is a silent disease with no symptoms, pain, or other signs. It is sometimes referred to as the "silent blinder". 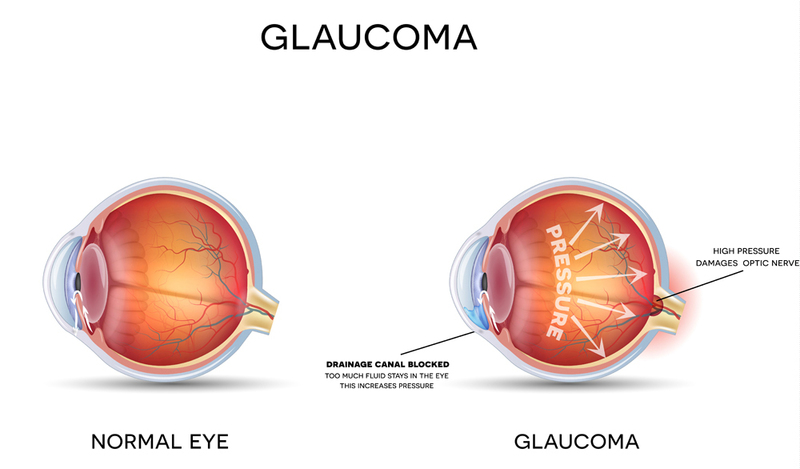 Glaucoma is a disease of increased pressure inside the eye. When the pressure is too high, it can very gradually, over months and years and in some cases much sooner, cause irreversible damage to the optic nerve. The optic nerve carries visual nerve impulses from the retina to the visual centers of the brain. Once a nerve in our body is damaged or destroyed, it is gone forever. Glaucoma is caused by a build up of fluid pressure. Inside our eye, with each heart beat, a fluid called aqueous humor is pumped into our eye. It normally percolates out of our eye through a sieve-like membrane called the trabecular meshwork. This meshwork is located in the front part of the eye. In glaucoma for unknown reasons, the fluid can no longer percolate out as fast and thus fluid pressure builds up. When the pressure is too high, too long, it can choke off the blood supply to the nerve fibers and the optic nerve in the back of the eye. As mentioned above, when the nerve is damaged, it is irreversible. It is absolutely imperative to have periodic eye exams by an ophthalmologist to check for this silent disease. There are some groups of people that have greater risk of getting glaucoma. African Americans, people over 40, diabetics, people who are related to someone with glaucoma, and people that have had trauma to the eye are some of the groups of people that carry increased risk. There are many different types of glaucoma. Some of the types of glaucoma will be described below. Primary Open Angle Glaucoma (POAG) is the most common type of glaucoma in the United States. It typically has no symptoms or pain and often tends to run in families (hereditary). It usually occurs over the age of 40 and is much more common in African Americans. Angle Closure or Narrow Angle Glaucoma is a very rare type of glaucoma. It is more common in hyperopic (farsighted) people of Asian descent. It is sudden in onset and is characterized by sever eye pain, headache, nausea and vomiting, and blurred vision with halos and glare around lights. This is a true medical emergency. This type of glaucoma can cause irreversible blindness is less than 24 hours! If you have these symptoms, call your ophthalmologist immediately. Traumatic Glaucoma occurs occasionally shortly after or sometimes years after trauma to the eye. It often has no symptoms like POAG but sometimes may be associated with pain or discomfort. 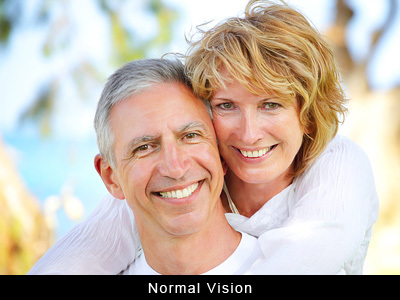 Normal Tension Glaucoma (NTG) is a very uncommon type of glaucoma that is often missed on routine eye exams. This disease also has no symptoms and the intraocular pressure is in the “normal” range thus making the diagnosis difficult to make. It is usually discovered by the ophthalmologist when damage to the optic nerve is first noticed or by other subtle findings on the routine eye exam. Intraocular Hypertension (IOH) is not truly glaucoma but is a condition where the pressure in the eye is elevated above normal but there is do damage to the optic nerve or loss of the field of vision. If one is diagnosed with IOH, frequent follow up eye exams and advance diagnostic testing must be done to rule out overt glaucoma. With appropriate therapy, vision loss and/or damage to the optic nerve is almost always preventable. Ophthalmologists have many types of eye drops to lower the intraocular pressure (IOP) effectively. Laser surgery treatments are also very effective in lowering the pressure. There are different types of lasers that can be used depending on the type of glaucoma. The most common laser surgery used is the Selective Laser Trabeculoplasty (SLT). This is easily done as an outpatient in the office. Some ophthalmologists use the SLT instead of drops to control IOP. In the difficult cases when drops and lasers can not control the IOP, operative surgery is sometimes necessary. Though serious complications are rare with modern surgical techniques, they can occasionally occur. The most important defense, is having regular eye care. Routine eye care should be every 2 years under the age of 60 and annually thereafter. "An ounce of prevention is worth a pound of cure".